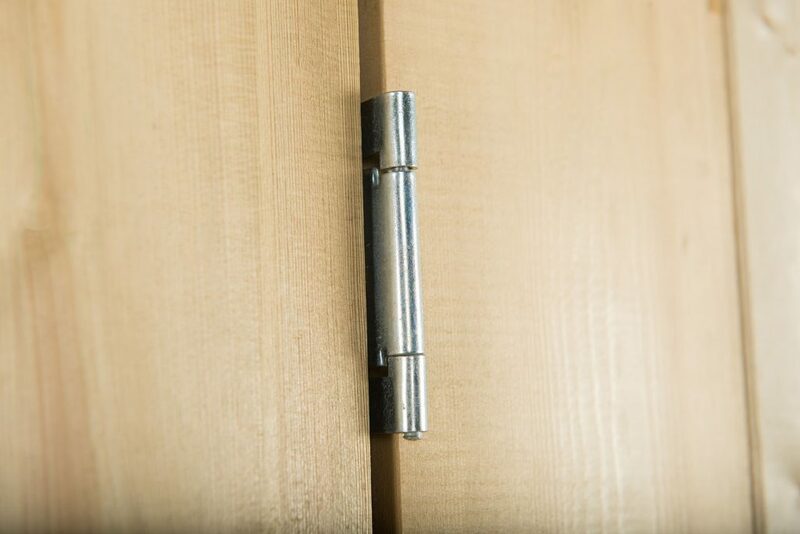 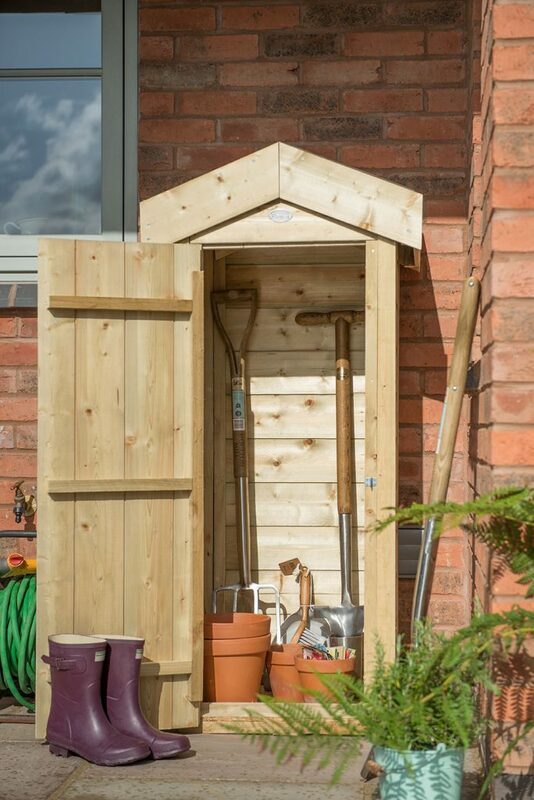 A stylish and compact tidying solution, perfect for keeping wellies, dog leads, toys and other outdoor equipment out of sight - an attractive design ideal for positioing by a door. 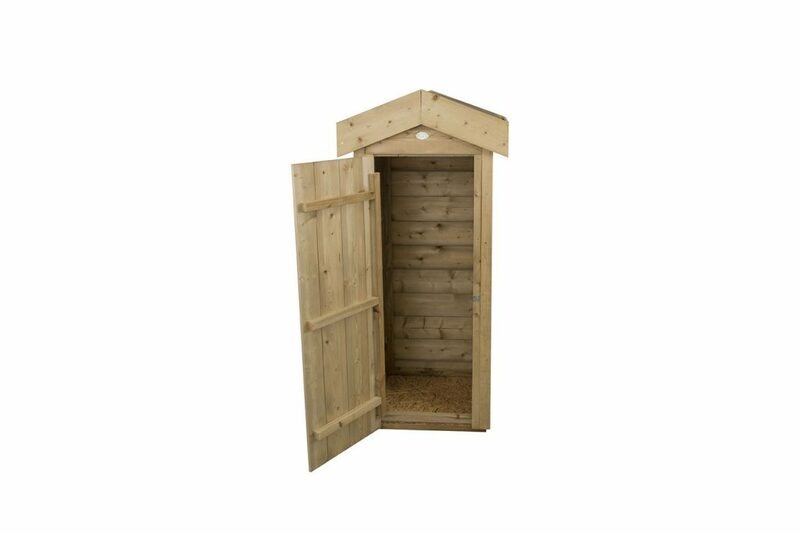 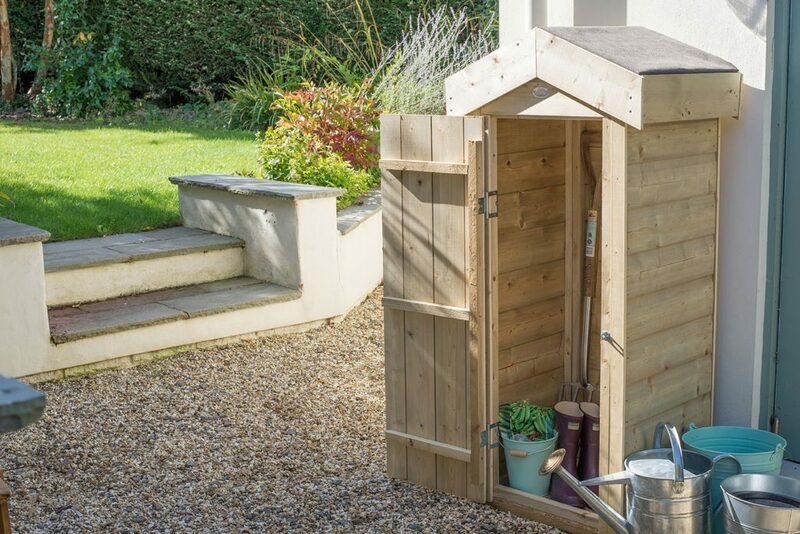 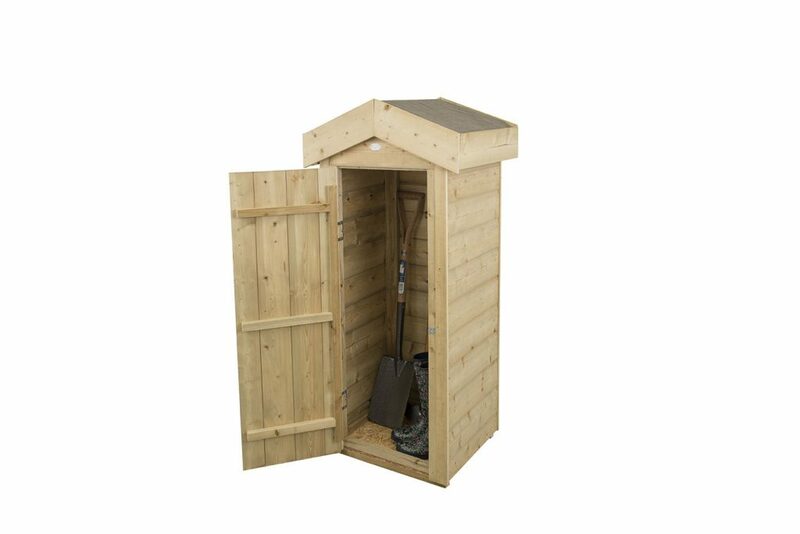 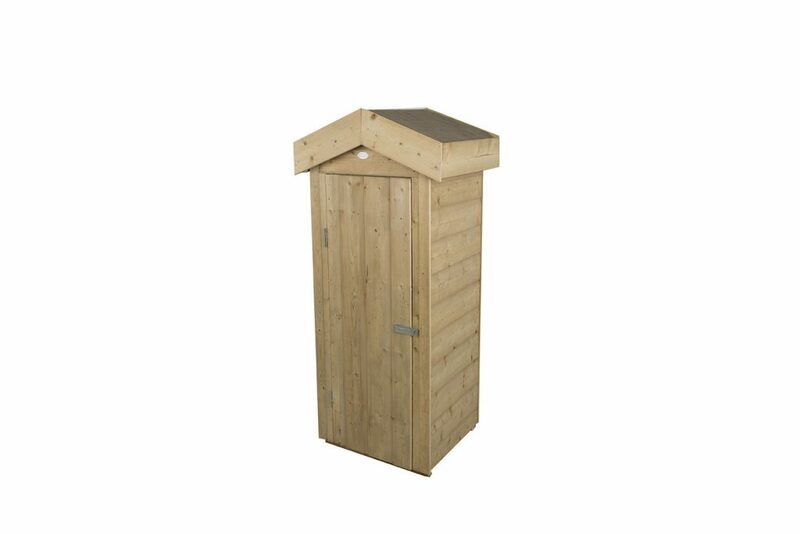 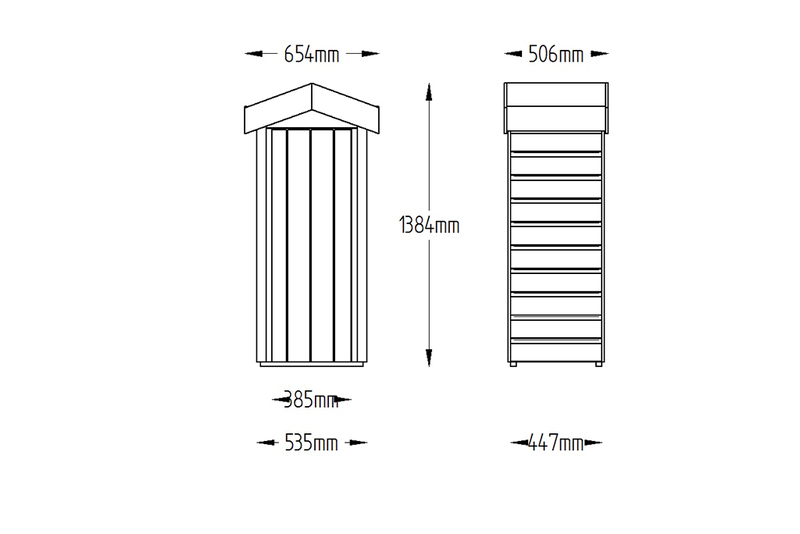 The stylish and compact Shiplap Small Garden Store from Forest keeps everything neat, tidy and in its place. 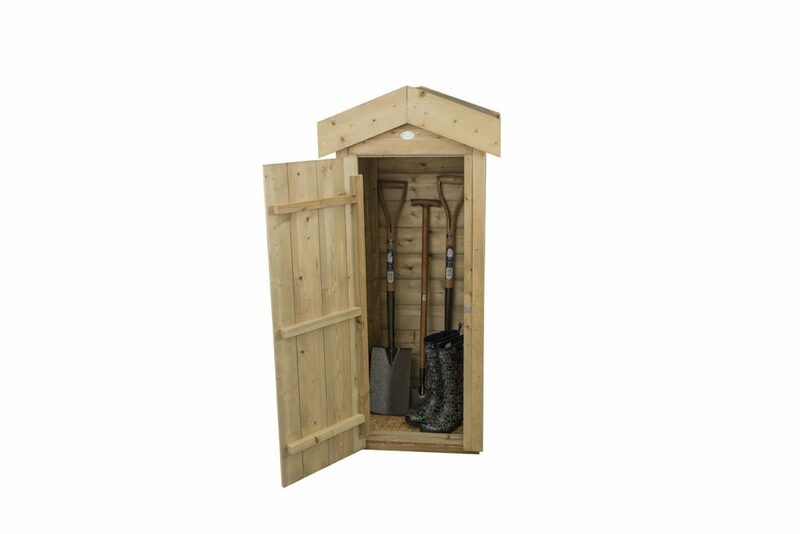 250 litres of storage capacity makes it perfect for keeping wellies, dog leads, toys and other outdoor equipment out of sight. 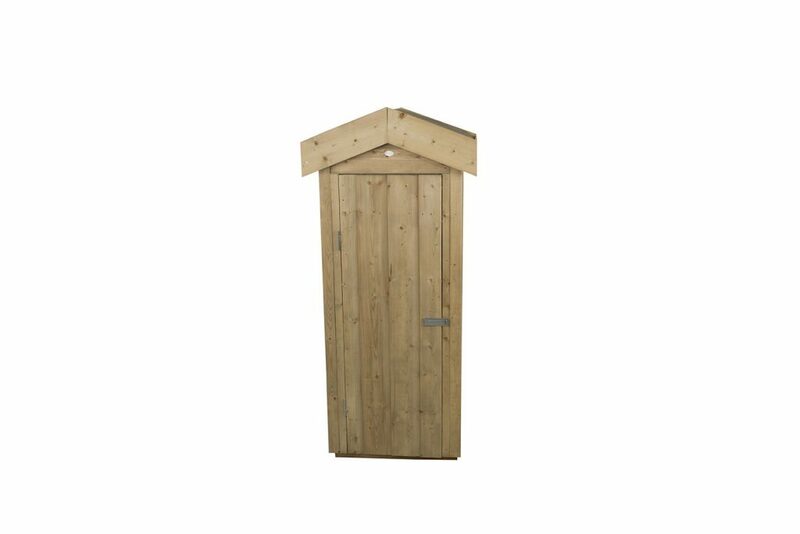 Its attractive design with Apex roof means it won't look out of place when used as a convenient store near front or back doors. 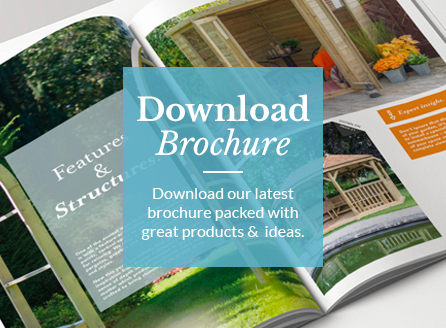 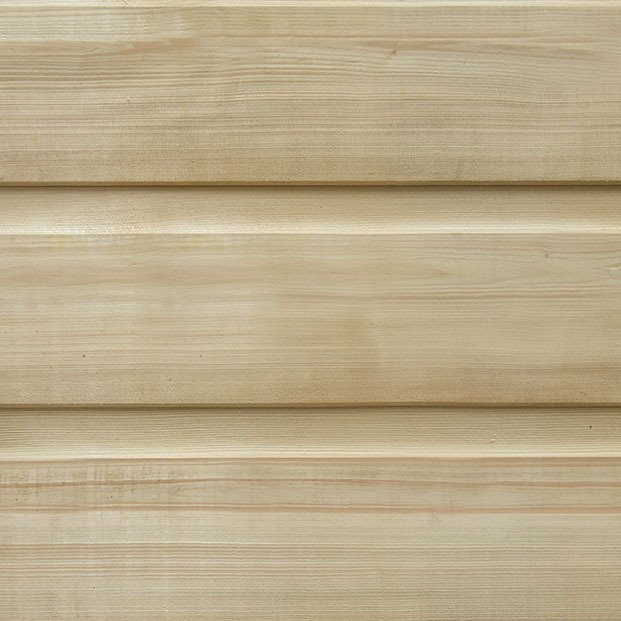 The store is made from smooth-planed interlocking Shiplap Tongue & Groove boards to give a high quality finish. 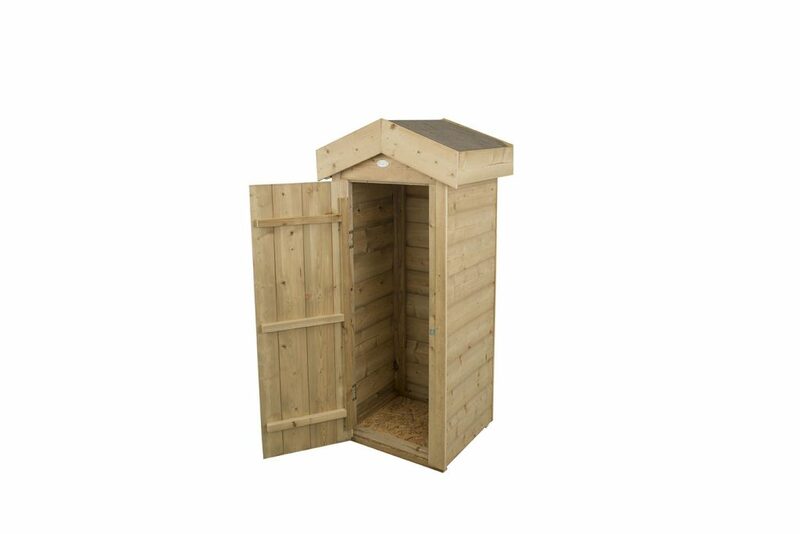 The green mineral felted roof keeps it weathertight and the floor is mounted on Pressure Treated bearers to keep it off the ground and dry. 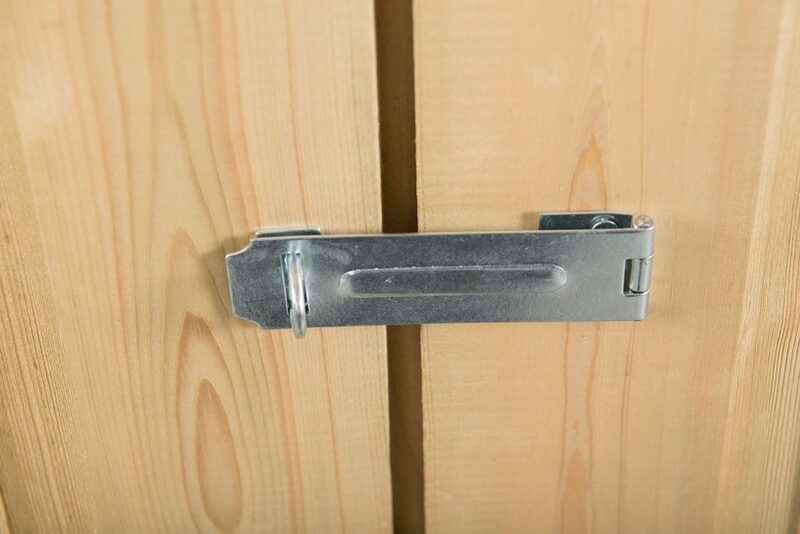 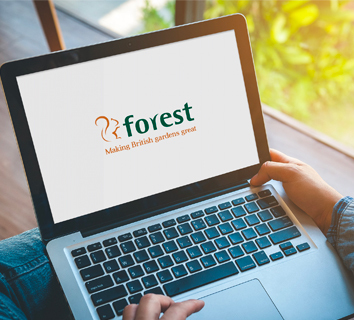 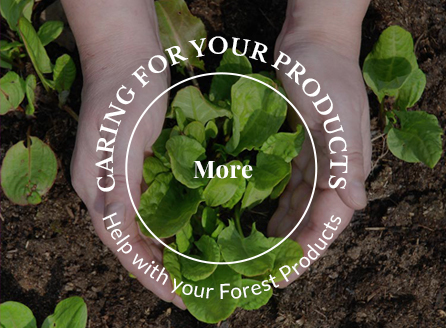 An anti-fungal preservative is applied to the timber to give a 15 year Anti-Rot guarantee.